Are you tired of looking for easy and simple ways to transfer files between Android devices? We are going to solve that problem with the best file transfer apps for Android that you can use to move files between Android phones and other devices. All the apps are free to use and take help of WiFi, hotspot or Bluetooth to send and receive data. So here are the top 10 file sharing apps for Android! 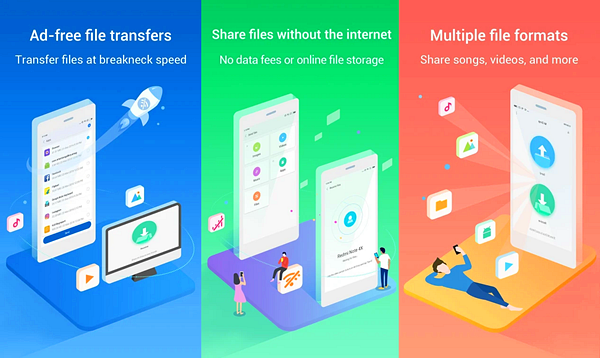 Shareit is one of the most popular Android file transfer applications used by over 500,000,000 people across the world. It has a rating of 4.6 on the Google Play Store and countless reviews left by satisfied users. You can transfer any type of files such as movies, documents, songs, pictures, apps and more using the app. It lets you transfer files without any loss of quality at speeds 200 times faster than regular Bluetooth. You can get speeds up to 20 MB/sec to send large files in a matter of minutes. The app uses 5 GHz hotspot mode to transfer files in Android 6.0, 7.0 and 7.1. This feature is not supported by Android 8.1 and above versions. 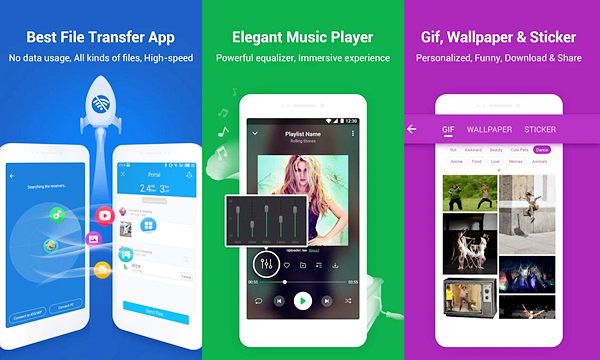 Xender is another useful Android file transfer app with more than 500 million users. 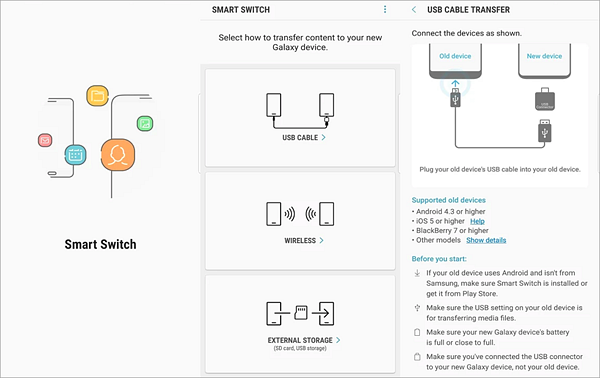 You can transfer all types of files without restriction over a hotspot connection that doesn’t require any wires, cables or data connection. The app can also be used for cross-platform data transfers between phone and a PC or Mac and Android, Windows and iOS operating systems. Xender can achieve speeds up to 40 MB/sec enabling you to transfer files of any sizes without restrictions. 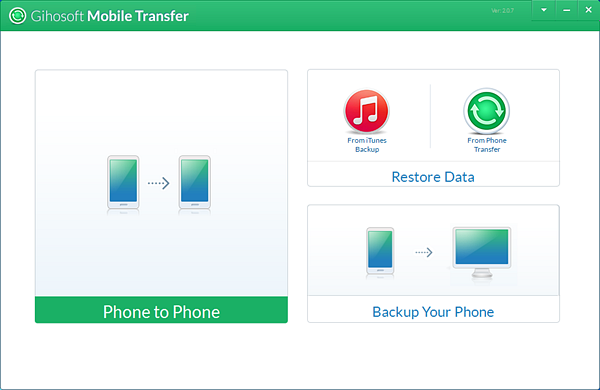 You can also transfer mobile data like pictures, messages, contacts, games, music, and videos from your old phone to a new one using one simple step. It also comes with a file manager to view, move or delete your files. Send Anywhere is one of the best file sharing apps for Android that protects your data with strong 256-bit encryption. To transfer a file, you have to enter a one-time six-digit key for security purposes. You can transfer any files between Android phones without taking help of internet or mobile data. It also allows you to send files to multiple people at once using a custom link. Users can also go for Send Anywhere Plus where they can send 50 GB of content at a single time. You can also set expiration dates and limit the download count as per your convenience. The Android data transfer app is really useful when you need to transfer files in a hassle-free way. Zapya Android file transfer app lets you instantly send data to phones located nearby. You can create a customized QR scan code that others use to connect to your device securely. The app allows you to send files to a group of people and chat with them using the instant messenger feature. You can create your own group and invite others to join in! The app also comes with a phone replication option which is helpful to backup and transfer files from old phone to a new one. You can also use it to backup your phone data on a PC or Mac. 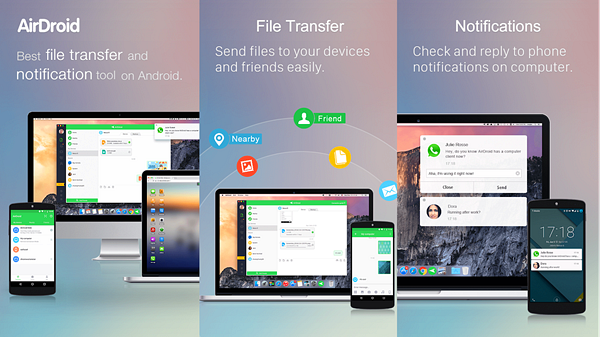 AirDroid lets you do more than just transferring data from Android to Android. You can use it to control your phone using your computer and even access apps like WhatsApp and WeChat on your PC. It has also been recommended by various tech websites such as CNET, Lifehacker, BGR and PCWorld. AirDroid Android file transfer app enables you to backup files from phone to computer while you can share clipboard between the two devices. You can also control your phone through your PC using the mouse and the keyboard. It also allows you to manage your videos, ringtones, and photos by uploading and exporting them. 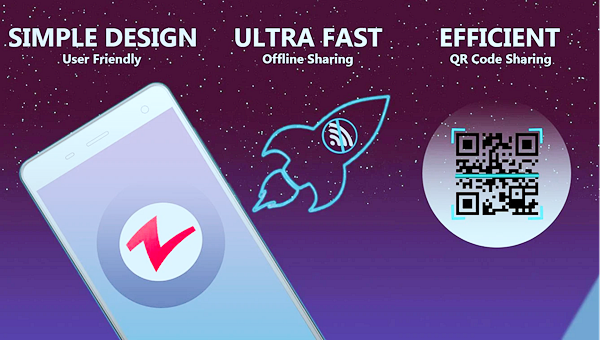 Gihosoft Phone Transfer app helps you transfer files using three simple steps- connect the phones, select the files to transfer and share them! You can transfer photos, videos, call logs, contacts, SMS, music and more from Android to Android, Android to iPhone, Android to Mac/PC, iPhone to iPhone, iTunes to Android and more. You can take help of the app to backup your data to a computer and restore them on any Android or iOS device. The solution is 100% safe and compatible with a wide range of Android and iOS models. Best of all, the app is entirely free to try! 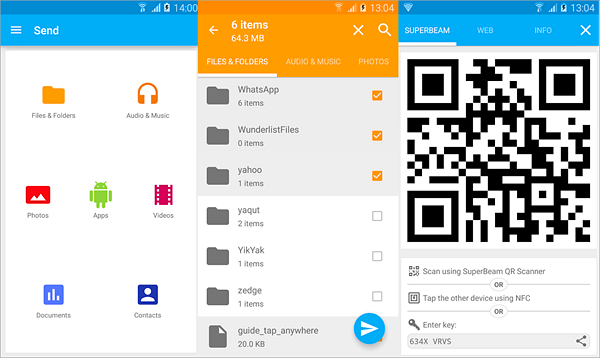 SuperBeam file transfer app uses WiFi direct mode to share large files. When WiFi direct is not available, it can switch over to hotspot or local network to transfer data. 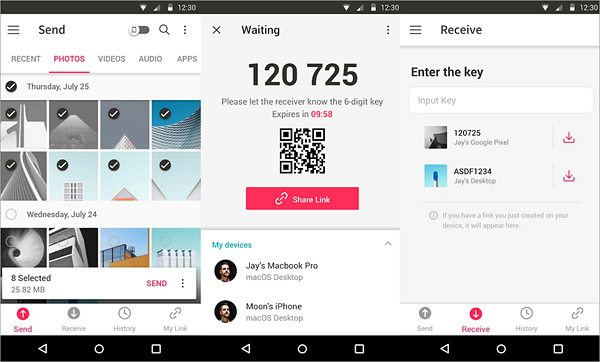 You can share multiple types of files by pairing devices through a QR code, NFC and manual keys. 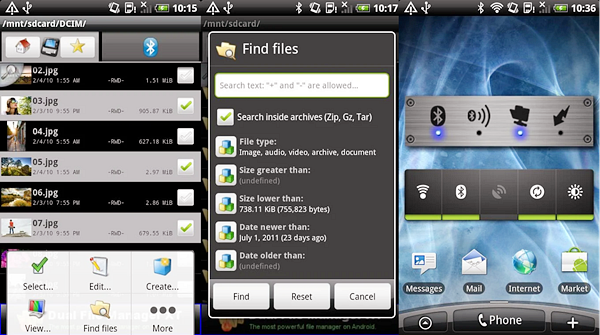 The Android file transfer app also allows you to share files to phones that don’t have SuperBeam using a web interface. It comes with a user-friendly interface with simple send and receives actions. There’s also no need to worry about duplicate items as they are given unique titles. You can also view the history of all transferred data. WiFi File Transfer can send or receive files over a local WiFi connection. You can share files between phones, tablets, and computers. All devices should be on the same network for this Android data transfer app to work. You can download or upload multiple files simultaneously and even transfer entire folder structures in case of Google Chrome. The file manager in the app lets you view, delete, edit, zip and unzip files all from the same interface. You can also set up a password authentication to ensure the right devices are connected. The only drawback of the app is that it only lets you transfer files up to 5 MB. Samsung Galaxy users will find this to be the best file sharing app for Android. It supports Galaxy handsets along with some other non-Samsung Android models. The app is preloaded in some Galaxy models such as S7, S8, S9, Note 8 and Note 9 and lets you transfer contacts, calendar, music, photos, text messages and more. You can also use the charger cable and USB connector to share files using a wired method. The app also enables you to pair devices of other platforms like iOS, Windows, and Blackberry. 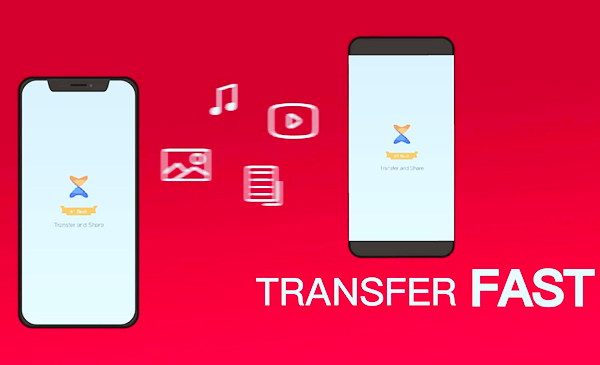 The ad-free P2P file transfer app comes from Xiaomi and is pre-installed in Mi phones. All Android devices can take advantage of this fast and simple file transfer method without restrictions. You can move files without the need of an internet connection. The files are sorted in different categories making it easy to find and search them. The transfer speed can reach up to 50 MB/sec, making it almost 200 times faster than Bluetooth. There are no complicated steps, and you can share files with a single tap! The app also doesn’t put any limitations on the file size- you can send or receive as much as you want. You can share files over a Bluetooth connection using this Android data transfer app. It provides a secure way to transfer your data as you can authorize all the incoming connections. One unique advantage of this app is that it can use infrared to connect to old cell phones such as LG, Nokia, Samsung, and Sony. The app has an inbuilt fast file browser and features a clean and fast UI. You can also use the integrated explorer to cut, move, copy and delete items. It can also perform zip and unzip of files with encryption. So, which of these Android file transfer apps is your favorite? Let us know in the comments below. Bonus Tip: If you need to restore deleted or lost files from your Android device, this Free Android Data Recovery Software can help you quickly get them back.